With the world actively taking measures to ensure a sustainable future, it’s no longer about just achieving your company’s bottom line. Today, it’s about the growth of your company, the development of your community and the hope for a sustainable future all transformed into one. McPeak Lanka, a joint venture between Peak Engineering Singapore and the McLarens Group Property arm, McOcean Property Development, entered into an agency agreement with iHandal Energy Solutions on 6 January 2019 to manage and grow iHandal’s marketing and distribution. iHandal offers customised engineering solutions that help recycle and repurpose waste heat generated in commercial buildings and industrial processes and turns them into useful energy that can be reused within commercial and industrial purposes such as for heating, cooling or power generation. This eliminates the cost and the need of powering installations through diesel, natural gas, furnace oil, and more and reduces the negative effects burning fossil fuels have on the environment. iHandal is currently active in key industries as, Hospitality, Food and Beverage, Pharmaceuticals and Mineral Processing to name a few. 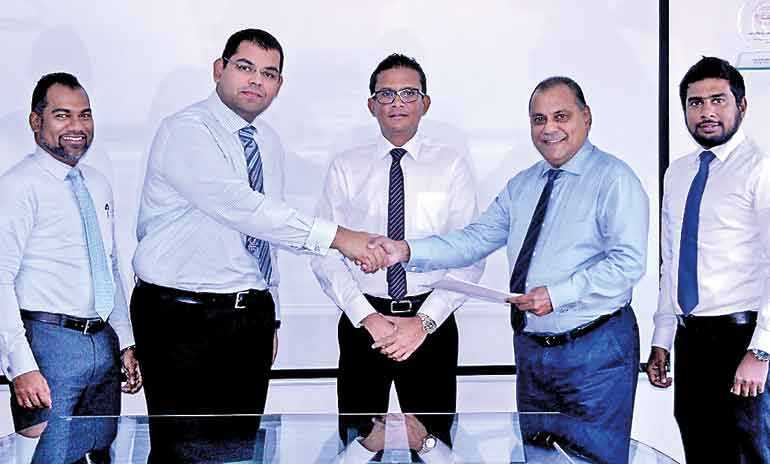 McPeak Lanka, a subsidiary of McLarens Group is in the business of delivering Integrated Facility Management Services and Energy Solutions to the Sri Lankan market. The McLarens Group is one of the largest diversified conglomerates in Sri Lanka with a prominent presence in industries such as Maritime and Logistics, Petroleum and Energy, Manufacturing and Distribution, Property and Strategic Investment and Leisure. Having a foothold in some of the largest industries in the country, it’s paramount our responsibility towards a more green and sustainable future is a top aspect of our priority list.